I took more than 7000 photos during 2013. Most of them were while I was at the football. Almost all were rubbish. But amongst all the dross I did manage to squeeze out a few decent shots. During my holiday down time I skimmed through my efforts and pulled out the best thirty. Here’s the final part of the trilogy. 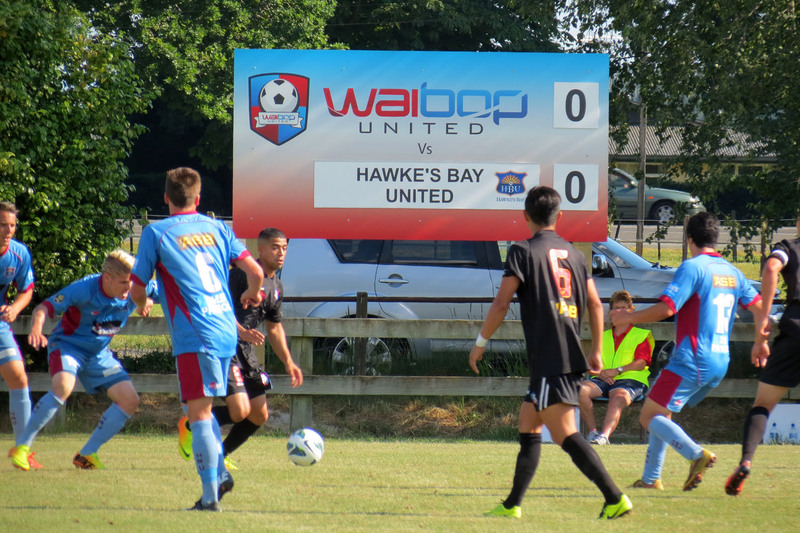 These photos come with a heavy WaiBOP United focus, which is not surprising given my involvement with that franchise this season. Each photo comes with a little story that helps define my 2013 season. 21. Surrounded: this pic pretty much sums up the way Waitakere City snuffed out Melville United’s Chatham Cup run in the semi-finals. It was good fun while it lasted. 22. Grinners are winners: coaching my boys was one of the highlights of my season. The smiles alone were reward enough. 23. 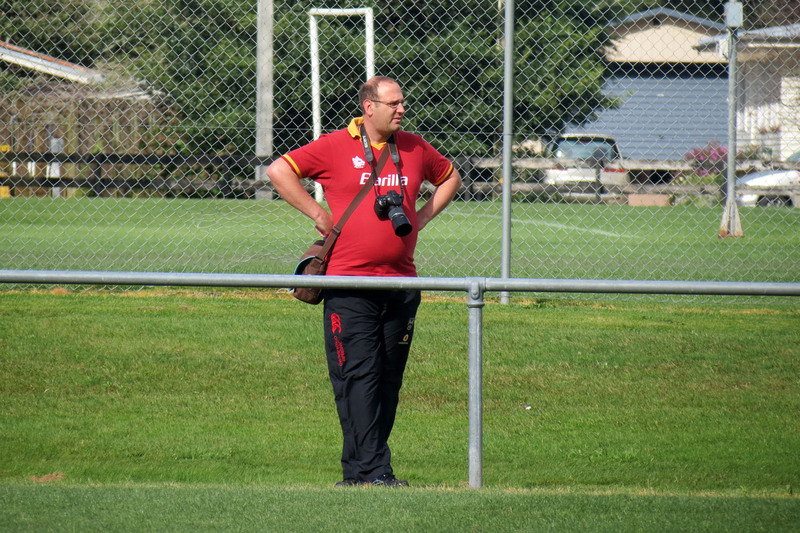 The Godfather: Enzo Giordani leads the way for football blogging in NZ. 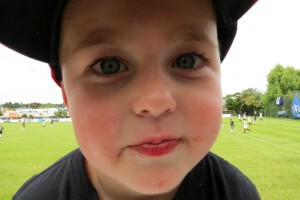 His site is well established, consistently updated and, most importantly, loaded with top quality content. 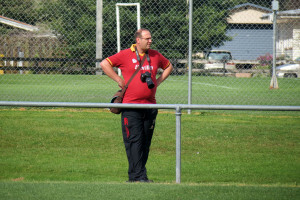 I can’t wait to see what my favourite Roma fan comes up with in 2014. 24. 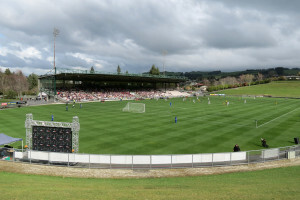 Roto-Vegas: Rotorua International Stadium is one of the best mid-sized sports grounds in the country. It was great to get a behind-the-scenes look at how a top level game runs when the Phoenix and NZ ‘A’ visited at the end of September. 25. 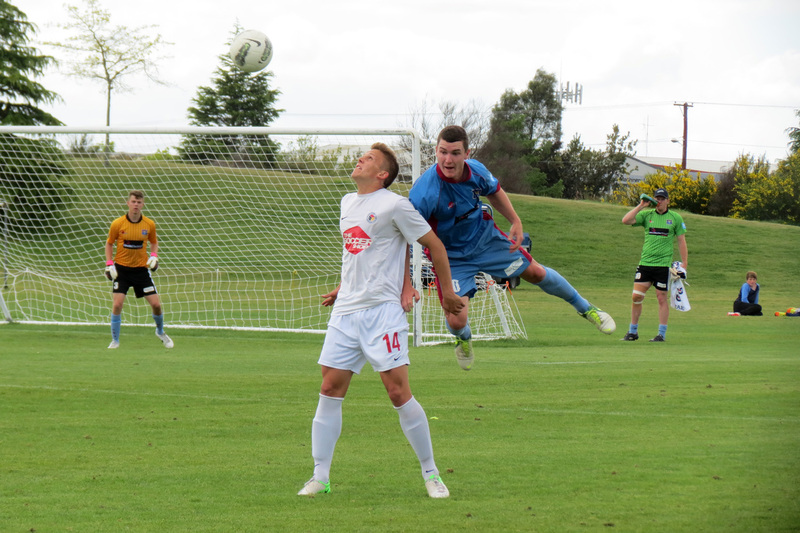 I can fly: it’s not often you see a footballer nearly horizontal when competing for a header. This pic was taken at the WaiBOP United v Hawke’s Bay United pre-season friendly, which was played at Taupo’s Crown Park. 28. 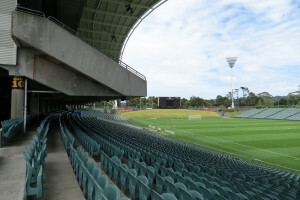 They want to play where? 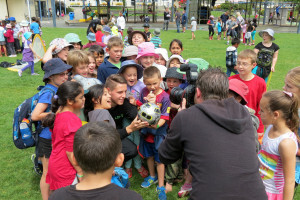 : when we announced Cambridge’s John Kerkhof Park as the home venue for WaiBOP United there were more than a few eyebrows raised. After two games the move has already proved to be a sensible decision. 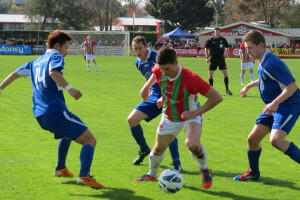 That was achieved with a fair amount of stress and sleepless nights, particularly ahead of the first game against Hawke’s Bay United. 29. Hello? Is anyone there? 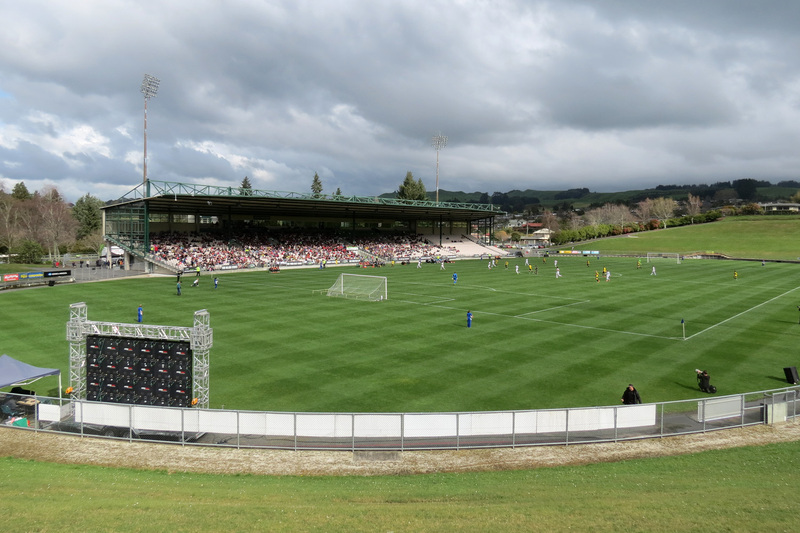 : 22,000 empty seats turned up to watch Wanderers SC play WaiBOP United in their ASB Premiership match. By the time the match got underway, however, a few people were present. 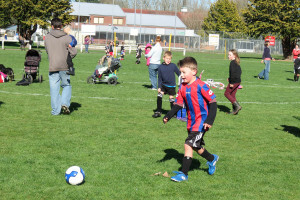 In fact, twice as many people turned out than were at WaiBOP’s match at defending champs, Waitakere United, a fortnight later. 30. 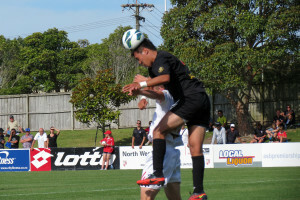 Squish: it’s always fun to get a shot of a football moulding itself around a player’s head. Here WaiBOP United’s Takahiro Yokota deals to the shiny white Nike sphere. Click here for part 1. Click here for part 2. That’s it for my final, space-filling, post referencing 2013. The New Year as begun positively with the Phoenix recording a great away win in Sydney on New Year’s Day then Spurs won at Old Trafford. I can only hope things continue in similar vein for the rest of the year. And I hope I can fire off a few more decent football pics as well.